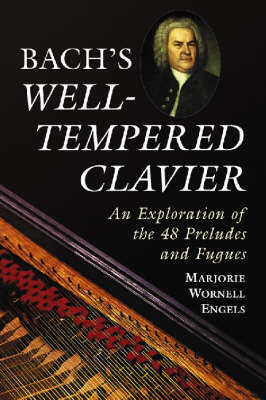 Through a musical language involving symbols, numbers, and tonality, J. S. Bach created emotional dimension in the preludes and fugues of ""The Well-Tempered Clavier"". This book explores the use of that musical language, revealing how Bach used harmonic design and melodic and rhythmic motivic formulas to adhere to the basic doctrine of the Theory of Affects - i.e., that one mood will govern one piece. The book examines the significance of key and the emotional dimension Bach discerned in each tonality; the symbolism of melodic and rhythmic motifs; and the symbolism of numbers. It considers the thematic and rhythmic links between a prelude and its companion fugue in each book, and between a prelude and fugue in Book One and those in the same key in Book Two. It also includes reference to other instrumental works by Bach in the same key and melodic patterns.